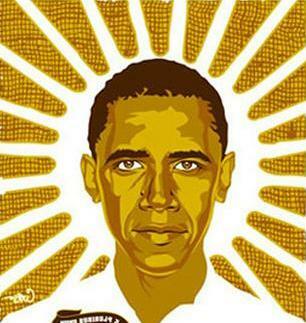 Obama / Romney – Presidents Should not Want to be Gods | Stop Obama Now!! 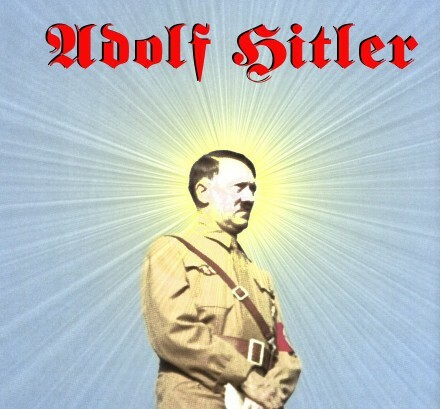 The Nazis and the Imperial Japanese, both had I-am-God cult religions that taught that the leader is God and the nation had a divine destiny to be transformed into an Utopia, according to their occult/pagan religious belief system. This is not a new idea, but goes back to the Babylonian and Egyptian mystery religions and even further. The Egyptian pharaohs were held to be the divine sons of God. The idea still exists more than you might think in cult religions and quasi-religious totalitarian political ideologies, today. The religions of both Obama and Romney teach that man can become a “god” and the fate of the United States is fundamentally linked to their religious doctrines, which both have gnostic occult roots. In the case of Black Liberation Theology the destiny of traditional America is to be destroyed and transformed into an occult Utopia, ruled by the black race. It is just not a good idea, in principle, to accept this sort of occult religious idea for a president of the United States, the most powerful nation on earth with a nuclear arsenal that can obliterate the world several times over. Maybe for the president of a small powerless Third World country, say North Korea, it might not be so important, if he has a belief that he is a God. Neither one of these men should be president, because they may well have a crackpot religious agenda, judging from their backgrounds. The office of the presidency should not be an equal opportunity position for new, home-grown religions, with a belief that leaders should be worshiped as gods. If you vote for Romney, conservatives are just validating that kind of belief system. The Christianity-hating media wants you to do it and many politicians want you to do it. Two very good reasons to not go along with it. We should never have even let this type of thing get started by putting Obama in office. We certainly should not continue it with Romney. In the last several decades, there has been a huge growth in occult religious movements the US. There are a lot of Republicans, as well, that have this kind of I-am-God religion and such people would like to see this type of thing made acceptable. That is really why the Republican leadership does not seriously object to Obama. It is also why many attack you so viciously, for things such as opposing Romney. There is an occult religious agenda behind it. It’s not necessarily a conspiracy, but a very large and broad occult movement. Whether conscious or not, the public has been largely brainwashed by the mass media into rejecting traditional Christianity as bigotry and acceptance of occult religions. Does Glenn Beck have a Messiah Complex? This entry was posted in Black Cults, Election 2012, Obama. Bookmark the permalink. Not quite the full truth. They also teach that gods of flesh and bone will be on this earth, not just that members become gods on other planets and it is a secret religion. So, you don’t really know what they may teach in secret at the upper levels and Romney is at a higher level in the Mormon church. Mormons, like Romney, are part of the Melchizedek order, which in traditional Christianity includes only Christ. So, it is not clear to me that they don’t consider themselves Gods already on this planet. Where do you get your info on exactly when they start considering themselves gods? If God is made of flesh and bones, how do you know when they become gods? I suspect they start thinking that when they are sealed in this life. Is there such a thing as a God in waiting? Does it make much difference in psychology, if you are a god in waiting? Not exactly, because Mormonism teaches that the US will become a Mormon Theocracy and the World, too. That is the main point. Doesn’t make much difference, when the Temple Mormons actually become gods. However, expecting to become a god also seems problematical to me.